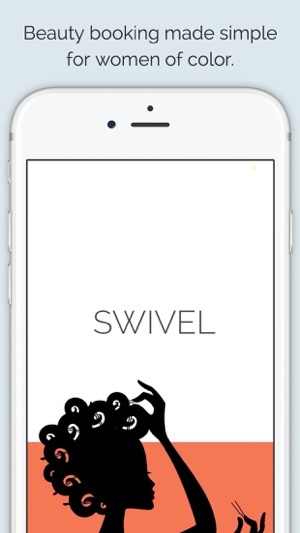 Meet Swivel. 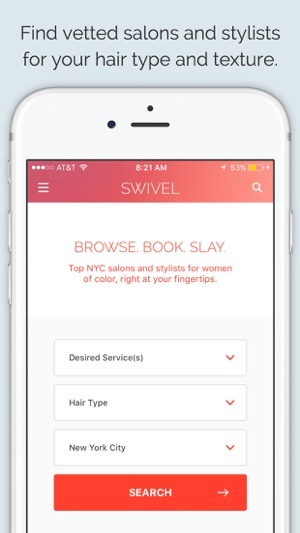 The #1 salon/stylist appointment booking + review app that puts the hair care needs of women of color first and has been featured in The New York Times, ELLE, Allure, Essence, and New York Magazine's The Cut. Our goal is simple: Make it easy for women with textured hair to find talented, vetted hairstylists they can trust—whether they wear their hair relaxed or natural—and book appointments in a few easy clicks! HOW IT WORKS: BROWSE. BOOK. SLAY. Browse salons and stylists (stylists who come to you are available too!) by hair type, desired service, or location. You can also read detailed reviews from women who have been there. Book appointments. Choose the service you need, plus date and time, and we'll confirm with the salon and stylist. No need to wait on hold or call multiple salons just to find an opening. We do all that for you—for free! We get you. And we just made getting gorgeous so much easier! We've been doing a little spring cleaning! We've updated our operating system in order to bring you a ton of new features, like our in-app hair quiz and push notifications so you never miss a message or promotion. We hope you enjoy! I absolutely love the swivel app! For years I struggled with finding a stylist that could consistently work with my texture and deliver a top salon experience. I’ve been going to Ebony @ Majestic Hair Salon for 2 years and my hair has NEVER been in better condition - it’s grown over 4 inches, it’s all one length, and it’s healthy / thick and full (no breakage). I would have never found Ebony without the Swivel app and I will continue to be a very loyal customer / user because they make it so easy and talent on the app is unparalleled! This was missing in the market for so long and I’m really glad it exists because the textured hair struggle is TOO REAL! You Need Swivel in Your Life! I tell everyone this. SwivelBeauty has been a life-saver for me. As a natural who is picky about who cares for my hair... Swivel has allowed me to curate my styling experience to best suit my needs time and time again. The ability to refine your stylist search by hair style, location and availability is always helpful. 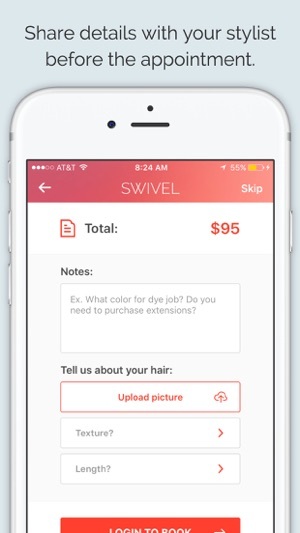 The options are nearly unlimited and the SwivelBeauty team is awesome with customer service! I don’t know where I’d be without them. I LOVE Swivel. 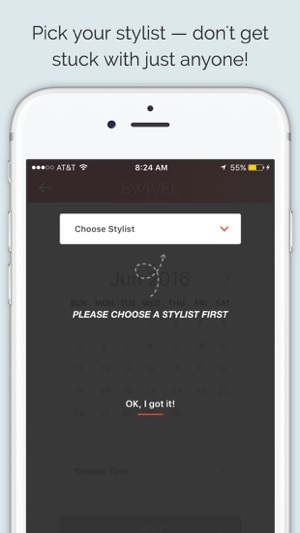 Prior to using the app I had a really hard time finding a stylist with expertise in the services that I needed. 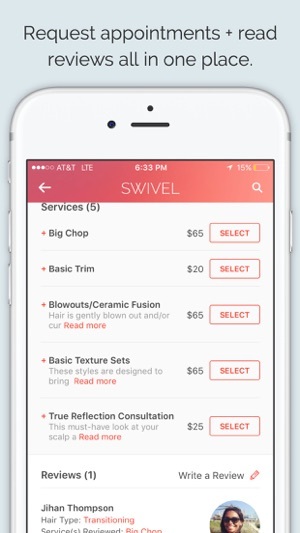 Swivel has made it infinitely easier to find a stylist when I travel, which is quite frequently. I also found my current stylist who I love on the app. Lastly, the customer service has been excellent. The team responds promptly and is always very helpful. © 2018 Swivel Beauty, Inc.